and all the the praise. and the truth of the empty grave. This is preaching the gospel to yourself. Mark 12:42 And a poor widow came and put in two small copper coins, which make a penny. A penny in Greek was two lepta, which make a kodrantes; a kodrantes (Latin quadrans) was a Roman copper coin worth about 1/64 of a denarius (which was a day's wage for a laborer). Luke 21:2 and he saw a poor widow put in two small copper coins. Greek two lepta; a lepton was a Jewish bronze or copper coin worth about 1/128 of a denarius (which was a day's wage for a laborer). Imagine, for a second, that you are the widow. The POOR widow. You have faith in God. He has always provided everything you need, according to His riches. You put your trust in the Living God. He has always been faithful. He has always provided EVERYTHING you need. So you trust Him, and you GIVE those last two coins. Each of them are worth about an eighth of a cent... together, they amount to a full quarter of a penny. Not out of your abundance, for you have very little. You give it out of faith. Faith in the God Who Sees. Faith in the God Who Knows. Faith in the God Who provides everything we need, according to His riches in Christ Jesus, Our Lord. When you find yourself in dire circumstances, do you question the Lord of All? Or do you remind yourself that He has a purpose and a plan for everything that happens to you? Yes, God could have blessed that widow with riches. Instead, He blessed her with poverty. He blessed her with two small coins, copper coins, worth 1/8th of a cent each. Jesus pointed her out. Jesus taught a lesson, using the faith and generosity of that widow. He compared her sacrifice to the offering of the rich, and He told the truth: SHE gave SO MUCH MORE, for she gave out of her poverty, while the rich gave a small portion of their abundance. Are you poor? Are you struggling? Don't think for a minute that God has abandoned you, that He is unaware of your circumstances. He could be using your two tiny coins to teach timeless principles of sacrifice. I finally am writing my last post on this wonderful little book, Abiding in Christ, by Andrew Murray. You can find the original online here. I can tell you that reading and pondering this book and its principles has helped me to remember that I am IN CHRIST, that I am kept there by His power, and that I can live continually with a sense of His presence. He promised never to leave or forsake those who have been called out of darkness. Not even for a millisecond. 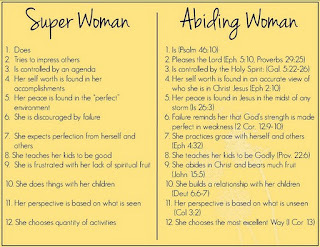 Abundant life belongs to those who Abide in Christ. Jesus is seated in the heavenly places, in perfect victory and rest. He triumphed over evil, and lives in the unclouded light of His Father's presence. Everything is holy there. Everything is in perfect harmony. As we abide in Christ, we get a taste of this glory. As we die to self and surrender to the will of God, Jesus' glorious life streams through us in works of love and goodness. Christ, seated on His throne, lovingly dispenses His gifts and watches and works for His people. Just as a fruit tree bears fruit, and a branch in the vine produces grapes, so a Christian abiding in Christ cannot do so without feeling himself stirred and strengthened to work. Jesus waits in expectation until that Great and Terrible day, when all of His enemies are crushed, His glory revealed to all, and His beloved people with Him forever in glory. He looks forward to that day as a Bridegroom longing for His bride. The believer who abides in Christ will share in that spirit of expectation. He will continually hope for the coming of our Lord and Saviour, Jesus Christ. Do you long to see Him? Can a frail child of dust really dwell in fellowship with the King of Glory? Just as it is Christ's work to save, it is His work to keep. All the believer has to do is to trust, to rest, to yield, to surrender. In faith, the soul must abandon itself entirely to the keeping of Christ's almighty power and the merits of His eternal life. The Christian life is not a list of rules to keep or things to do. It is not a burden or an effort, but rather it is the increasing abandonment of self to the Lord, and the increasing faith that God is working, in all circumstances, to conform us to the image of His Son, and to glorify His name. This is a quote from John Piper's Book, Exposing the Dark Work of Abortion. Click on the link and download it. All of that happens to you when you become a Christian by putting your trust in Jesus as Savior and Lord of your life. The rest of the story is: become what you are! Love—out of your being loved. Shine—with the light that Christ is in you. So the call to Christian pro-life action is first a call to conversion—to new birth—to repentance and faith in Jesus. Then it is a call to let your light shine in the darkness—to walk as children of the light. This is why in verse 9 Paul says, “For the fruit of light is found in all that is good and right and true.” Paul calls goodness and justice and truth the fruit of light because it grows naturally out of light. Fruit comes out of a tree because of what the tree is. That is the Christian life: becoming what you are—bearing fruit. And the point is the same: true Christian living is essentially fruit-bearing, not essentially working. It is essentially letting the fruit show what the tree is like. It is not working to become a tree. We become a tree and stay a sound tree by trusting in the free mercy of God and all that he is for us in Jesus. The Christian life—with all its pro-life action and everything else that is good—is being what we are, God-forgiven, God-adopted, Christ-loved, fruit-bearing trees. We are children of the light. Abortion is a work of darkness. The apostle Paul said, “Take no part in the unfruitful works of darkness, but instead expose them” (Ephesians 5:11). God is calling passive, inactive Christians today to engage our minds and hearts and hands in exposing the barren works of darkness. To be the conscience of our culture. To be the light of the world. To live in the great reality of being loved by God and adopted by God and forgiven by Christ (yes—for all the abortions that dozens of you have had), and be made children of the light. The Old Covenant did not secure its objective - to unite Israel and God. The New Covenant would need to secure God's faithfulness to His people, and His people's faithfulness to God. "He likewise became the guarantee that man would faithfully fulfill his part, so that God would bestow on him the blessing of the covenant." Jeremiah 32:40 I will make an everlasting covenant with them, that I will not turn away from doing them good; but I will put My fear in their hearts so that they will not depart from Me. It is God Who keeps the covenant! God stands for Good for both parts! Jesus is our Melchizedek (He ever lives to make intercession for His people)! He takes no breaks. There is never a moment's interruption. Jesus lives to pray for us and to bless us. He cannot be unfaithful! To abide moment by moment is easy, even simple. "Each moment of CONSCIOUS COMMUNION with Him let us say, "Jesus, our guarantor, keeper, ever-living Saviour, in whose life I live, I abide in You." "Each moment of need, darkness, or fear, we still say, Great High Priest, in the power of an endless, unchangeable life, I abide in You. mumble and grumble we are lazy and apathetic we are self-indulgent and greedy and we want our own way. that You are the Covenant Keeper - that You never fail. for praying for me for blessing me with good things for blessing me with trials. Thank You for ordering my steps and giving me work to do that matters, in time and for eternity. Keep me safe and pure and holy. I am Yours, and I am grateful. And Linda knows I'll answer her. But DO NOT think I want to do this again. Harrumph. Passionate, articulate, redeemed, poetic, creative, wretched, contented. Rick the night owl. And pain. Elisabeth Elliot. Or Joni Eareckson Tada. 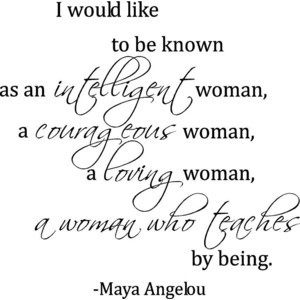 A Woman of Faith and Wisdom. My comfy pajama bottoms and one of Rick's T-shirts that fits over the cast easily. Loss - of loved ones, pets, home, etc. But I remind myself of God's Sovereignty and no longer fear. I am more afraid of not finishing well. Best things: Sharing what I have learned with others who might benefit; expressing myself in writing. I love to get feedback but don't often get it. Worst thing: Insignificance. That what I write may not matter in the scheme of things. I'd like to be slower to speak. http://www.theslanket.com/ Can you say 'claustrophobic'? Ewwww… NO! Linda I love. She is my muse. Heather, Rachel, Elena and Rick. It is hard for us humans to really get that. To really understand that in us, there is nothing good. We like to think of ourselves as accomplished, talented, brilliant, capable, organized, lovely and loving people. We like to think of ourselves as spiritually-minded, moral, and good. There is nothing farther from the truth. The truth is that everything we do, everything we say, and everything we think is TAINTED. We do a lot of bad things, and it's fairly easy for us to acknowledge that. We think bad thoughts. We are selfish (did you ever try to beat someone to the empty checkout line at the grocery store? ), proud (did you ever think you are better, more talented, more accomplished at _____________ than someone else?). We do not honour our parents or anyone above us in rank or position. We do bad things, we think bad things, every single day. But here's the rub: EVEN OUR GOOD THINGS are tainted. Even our prayers are not as fervent or God-centered as they should be. Even our service to others is not as pure and other-centered as it ought to be. Even our worship and praise to God fails to measure up to His holiness. ALL OF OUR RIGHTEOUSNESSES ARE AS FILTHY RAGS. So how do sinful, God-loving, elect human beings ever hope to Abide in Christ, and to do so continually? The only path to true life is to follow the path our Lord took before us: DEATH. 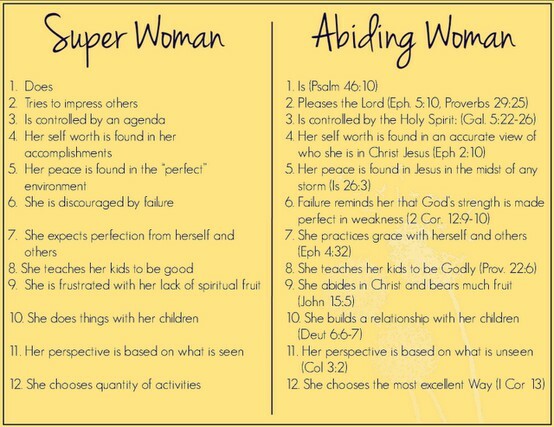 Do you long to abide in Christ? To be kept from sinning? To be in the closest possible fellowship with the Beautiful One? Then know this: Your greatest enemy is SELF. Your greatest enemy is self-will, doing it in your own power, living the Christian life by your own flesh. Am I prepared to say that my old self will no longer have a word to say; that it will not be allowed to have a single thought, however natural, not a single feeling, however gratifying, not a single wish or work, however right? I can hear you asking, "What about our natural talents? Can't I use my God-given talents for the glory of God?" Our natural powers, our God-given abilities, our talents and accomplishments CAN be sanctified and used of God, but only if they are taken out from under the power of self and brought under the power of the life of Christ. Yield your talents, your gifts, your possessions. Through complete surrender, offer EVERYTHING to be used by Him. HE IS READY TO TAKE CHARGE! Realize - you are dead to self, but alive to Christ. Self is still strong and alive, but it has no power over you. The only time it has any power at all is when you carelessly or faithlessly consent to yield to self's usurped authority. Realize: you were ransomed from a tyrant and made a conqueror. Self was nailed to the cross, but struggles to be free. It seeks to allure you into giving it some little liberty, or to deceive you by professing to do some service for Christ. It is a dangerous, defeated enemy. It seeks to 'serve' and look 'good' and BE SOMEONE, but nothing good dwells in it. Do not give self any quarter.